Crayola Super Tips Washable Markers feature a unique, durable tip that's smooth, not scratchy. 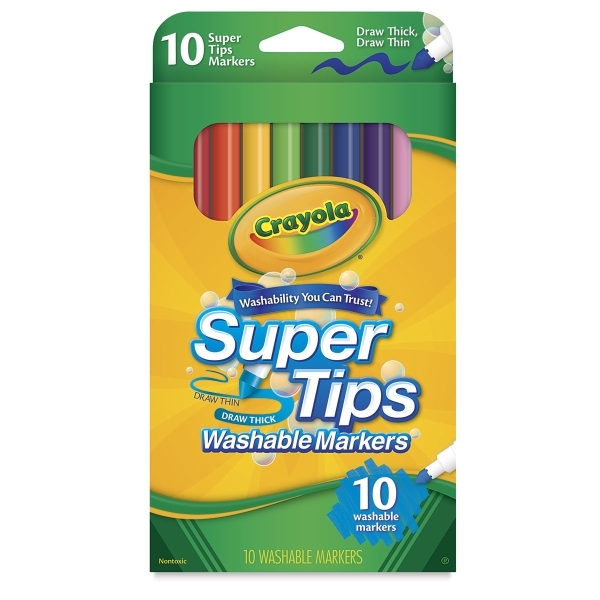 The side of the tip is ideal for coloring in large areas, and the end fills in details - perfect for drawing, coloring, and writing. This set contains a selection of 10 colors. Please refer to the Item Specs tab for set colors. ® Crayola is a registered trademark.™ Silly Scents is a trademark. ™ ReMarkable is a trademark.